Everywhere you look (or listen), there’s Tiffany Haddish. The Girls Trip star and fan-favorite will next take a page from the BoJack Horseman playbook with her own Netflix animated series, playing one of the title creatures of Tuca & Bertie. Netflix announced the project with a ten-episode order, as created by BoJack Horseman alum Lisa Hanawalt and produced by Michael Eisner’s The Tornante Company, with BoJack vets Raphael Bob-Waksberg, Noel Bright, Steven A. Cohen and Haddish herself producing. The series is described as “a comedy about the friendship between two 30-year-old bird women who live in the same apartment building: Tuca, a cocky, care-free toucan, and Bertie, an anxious, daydreaming songbird.” Haddish will play Tuca, while no voice for Bertie has yet been announced. Haddish will also soon be seen and heard in Tracy Morgan’s new TBS comedy The Last OG, and has inked a first-look deal to develop new HBO shows. Other upcoming projects include Limited Partners, The Oath, The Kitchen, and The Temp, and likely a project with Paul Thomas Anderson. Truly #blessed are we in the age of Haddish. 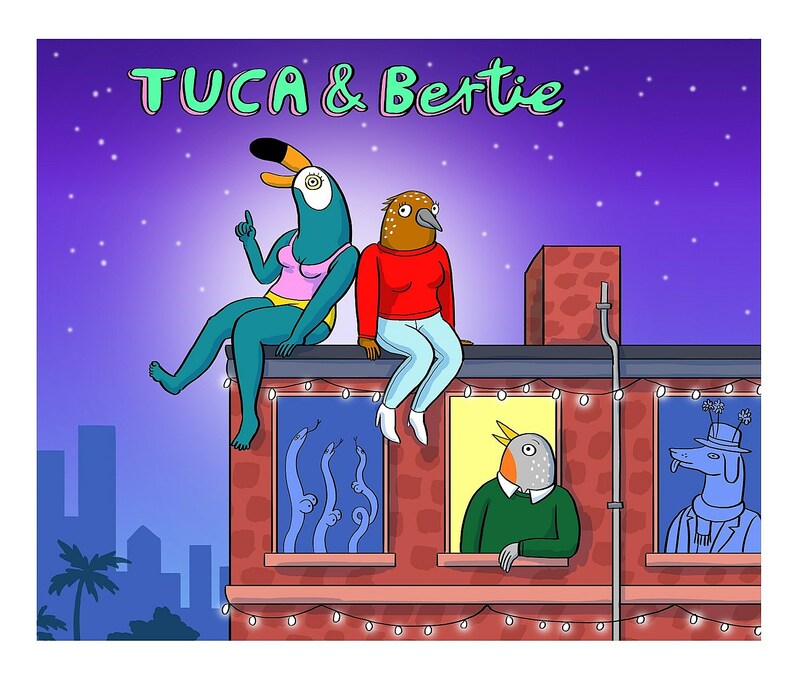 Tuca & Bertie has not yet set a premiere window for 2018 or 2019, though BoJack Horseman Season 5 is expected to premiere later this year. Stay tuned for more in the meantime.